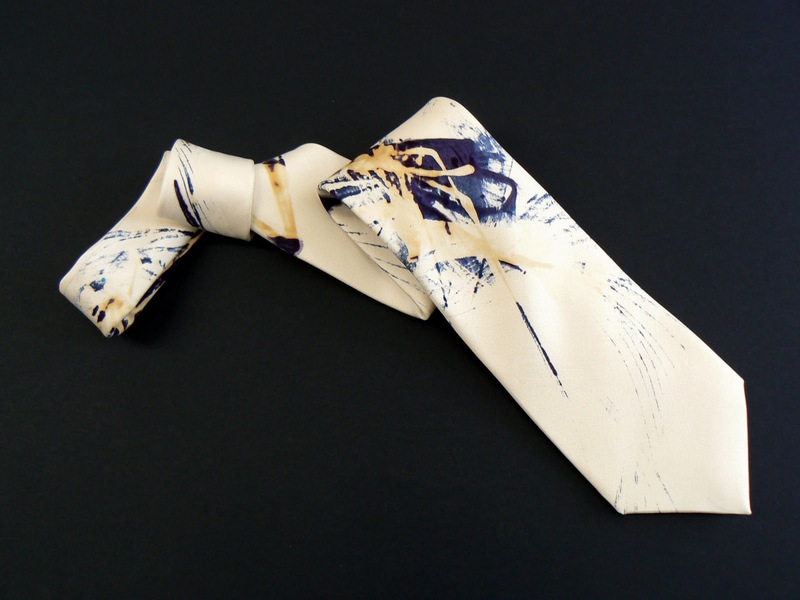 A one-off 'ZEN' tie created in meditation on Crepe de Chine Silk using verious tools, layered dyes and pastes, steamed together. One of my favourites. Cream silk tie as above. The imagery was amazing in that although created whilst in healing meditation, each image had a life of its own, a language. Racing Green silk tie on a very special piece of madder silk from David Evans, again created in meditation using multi dyes and pastes. As each layer takes forever to dry, these ties take a considerable amount of time to create and are all one offs. 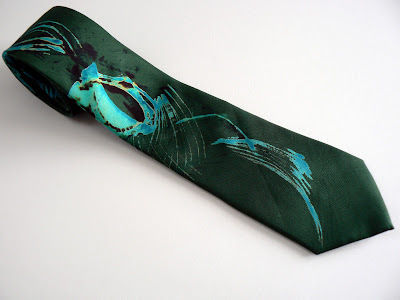 I enjoyed this range (there are many more) and intend to create new items on different coloured silks. I plan to experiment with more use of this method within drawing. As well as the drawn image, I am honing my digital skills. Still a long way to go - and I do not want to spend my life at a computer screen. 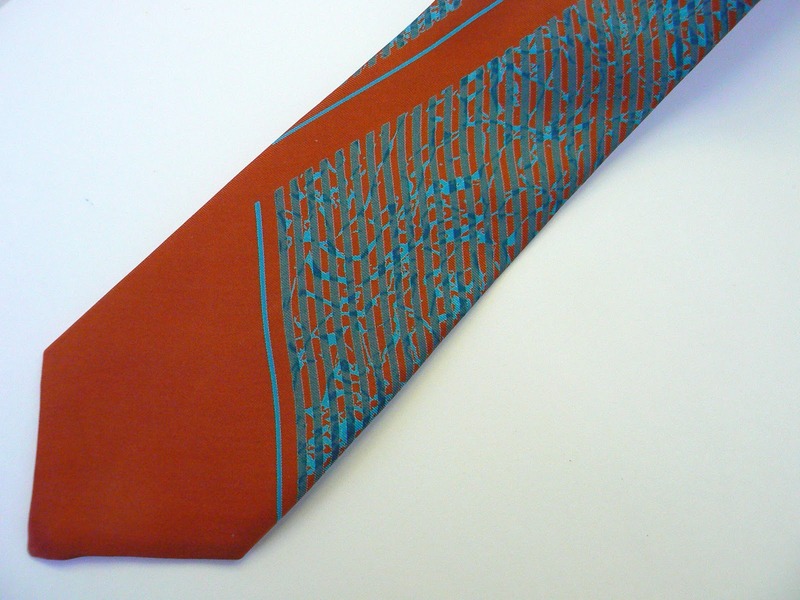 Navy and rust colour discharge screen printed silk ties. 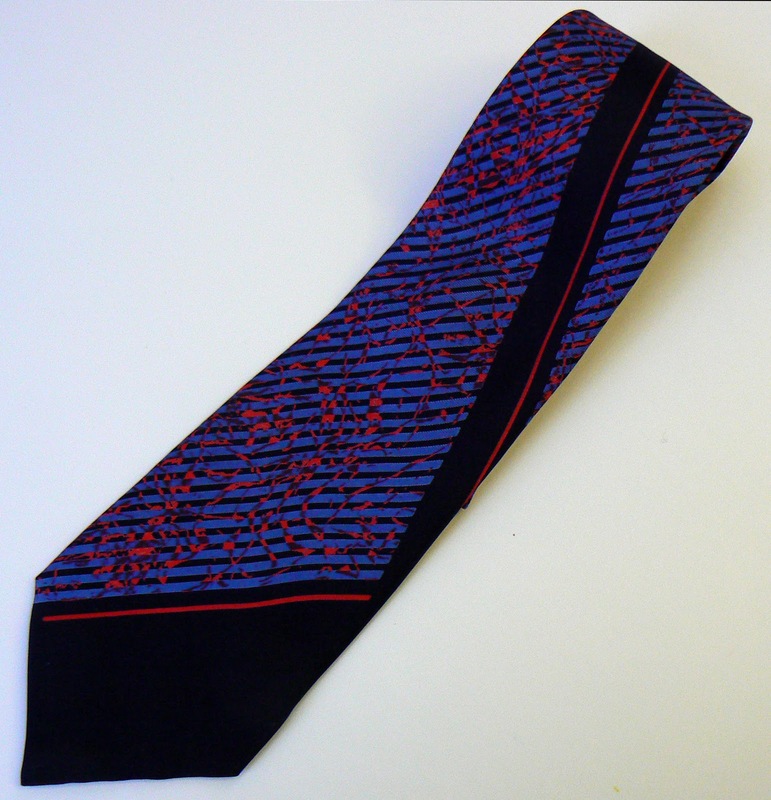 (almost gone now).